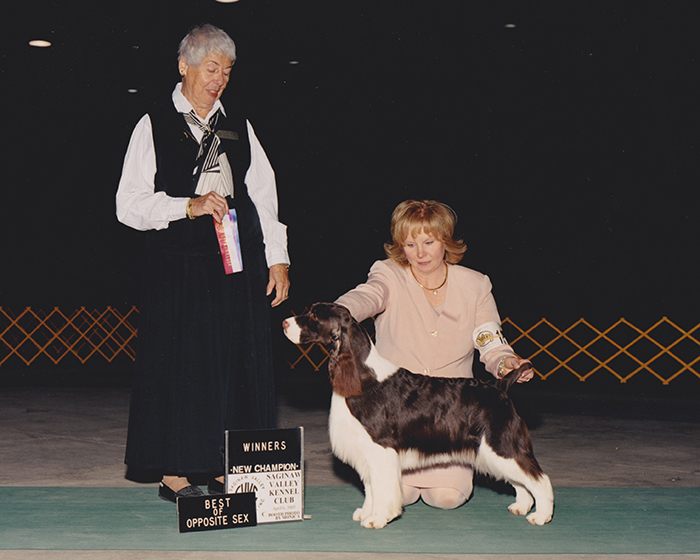 Irena earned her majors at specialties, and although she was never specialed she was a BISS winner. She loves agility. Her favorite pastime is playing in the water fountain at her Aunt Beth’s forever home. She was 2008 ESSFTA Show Dam of the Year.